I hope I'm not breaching any protocols doing this (it's been a while since I was last on the forum - so long, in fact that I had to set up a new username because I'd forgotten the old one). I have developed a new serif typeface for use with a particular publication. It took some time, especially the serifs which kept getting rounded when I imported glyph images (I prefer to create the glyphs using a vector package). But I am delighted at the new features in FontCreator 10 which have made some of the grunt work so much easier. Once I installed the font I was disappointed to see that it looked fairly mundane, all the serif detail lost in use, and the finished effect looks little different to many serif faces out there. Nevertheless I was also very pleased with the way it functions as a text face, which is what I intended. Some of the glyphs need attention, I think, but on the whole I am pleased with the result. I am planning on developing the italic and bold variants, and then on creating a thin version with a less rounded look. If anyone has any observations I would be very pleased to read them. The funit's per em setting of 1000 could be increased to 2048 or even 4096 if you want fine details in the serifs to look good on posters. Instead of using kerning pairs for combinations like ffb I would add standard ligatures. You have included Alphabetic presenation forms for ff, fi, fl, ff, ffl, but they will probably never be used without a Standard Ligatures feature. Ligatures for fb, fk, fh, ffk, and ffh would also be needed. Ligatures for fï and ffï are also possible, but they are not necessarily an improvement on positve kerning. Your ornaments are at the beginning of the Private Use Area. There is nothing wrong with that, as that is the what the PUA is intended for. However, be aware that if you ever need to add stacking diacritics for Vietnamese fonts (see Times or Arial), FontCreator's Complete Composites Feature uses those codepoints for stacking diacritics. Users of your fonts who create documents using these ornaments will have their documents hard-wired to these PUA codepoints so it's not something that can be changed later without causing issues for users. A safer alternative is to leave the ornaments unmapped, but to include an OpenType Ornaments feature that uses them. However, that might leave them unusable by many applications that lack OpenType feature support, so changing the codepoints is better. Only two that I could find are included in Unicode — Fish (1F41F) and Bird (1F426) — so mapping those two is hardly any improvement to using the PUA. Again, some applications do not support the higher planes. BUG: The dotless i is incorrectly mapped to combining letter small letter i, so some glyphs (ìíîï) are not composites. Remap the glyph and then complete composites. BUG: Ee caron are incorrectly mapped to Ee macron resulting in a similar issue. Remap them and then complete composites. And/or, add a modfier letter macron if you want letters with macron accent. Tip: To identify simple glyphs that should be composites, use Select Composites (on the Edit Menu) then Invert the selection. Scroll down through the glyphs to see where there may be other issues, e.g. ñ tilde is not a composite, but Ñ tilde is. Åå ring is not a composite, and there is no modifer ring accent. Thank you so much for this; it is incredibly helpful. You have identified some of the problems I encountered when developing the font, especially the combining dotless i for which I could not find the proper mappings. With the PUA symbols, given the problem you identified, where would you suggest is a good place to begin these mappings? Dumbledore wrote: With the PUA symbols, given the problem you identified, where would you suggest is a good place to begin these mappings? It's about 1,550 out of 6,400 code-points in the PUA. Currently, there is no other way to do this than by using code-points. Maybe later we can use glyph names. If you have no plans to include extra glyphs like stacking diacritics, small capitals, or stacking fractions, you can use the PUA however you wish. However, users often want to add more features to their fonts later, and if you do, complete composites and transform scripts can make it a lot faster. To see what I mean, just open the Stacking Fractions transform script from the Glyph Transform Wizard, and run it to see the results. There's still some work to be done, but the basis is there for a complete set of stacking fractions as long as your font already has the digits. I adjusted the funits per em from 1000 to 4096 as suggested on one of my test bed fonts (copies of the main font that I can play with before going on to the real thing). Apart from reducing the size of the glyphs in the edit window, I can't quite see what the transformation achieves. Is it a useful thing to do or not? Yes, changing the funits/em setting will change the size of the glyphs. Copy them first, change the setting, then paste them back. See this thread for the explanation of when it is needed. See this thread on changing funits/em settings. Once again, many thanks for your helpful advice. I am learning far more than I expected from creating this font. May I ask another question? It's about 'Complete Composites'. I have included in the font, as an example, a caron and a combining caron, but still some of the composites remain incomplete after I issue the instruction. Have I missed something obvious, or am I including the wrong versions of the caron? I have a similar problem with the macron. Modifier letter caron accent must be mapped to $02C7 (decimal code-point 711) for Complete Composites to work as designed. I'm still working on the font, trying things out (such as some of the scripts) to 'see what happens' and modifying as I go along. Yesterday I tried the small caps script from the tutorial. The result was pretty impressive, but I noted that the diacriticals except diaresis and top dot did not appear in complete composites. I've had a look at low profile diacritcals, but they seem more suited to alteration for caps, not small caps. To be honest I get quite lost in the planes and blocks for insert characters, and sometimes have problems finding what I am looking for (such as X-bar for the arithmetical mean). One thing I am confused about with the scripts is the bracketed comment 'Apply subsequent features'. Sorry if all this makes me sound like a proper dingbat , but my purpose is to learn as much as possible as I go along with this extraordinary piece of software. Dumbledore wrote: I noted that the diacriticals except diaresis and top dot did not appear in complete composites. 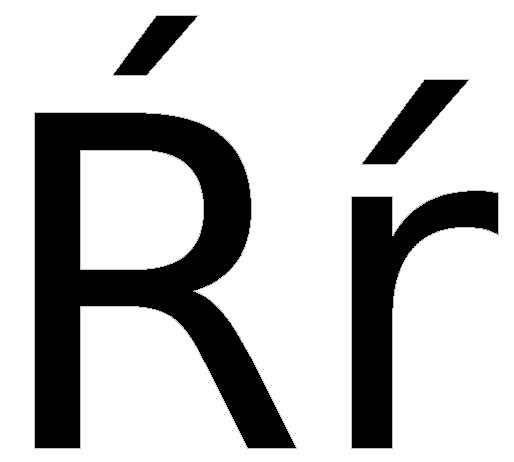 If the diacritics do not appear in the composites, then they're missing from your font. Grave (dec 96), Acute (180), modifier circumflex accent (710), etc., are all required as well as diaeresis and dot accent. Dumbledore wrote: I've had a look at low profile diacritcals, but they seem more suited to alteration for caps, not small caps. If your font includes low profile diacritics, they can be modified as required to suit the capitals or small/petite capitals as required. If they don't exist, regular diacritics will be used for lowercase, caps, and small/petite caps. Dumbledore wrote: To be honest I get quite lost in the planes and blocks for insert characters, and sometimes have problems finding what I am looking for (such as X-bar for the arithmetical mean). Unicode is huge, so it's not easy to find the right code-point. If you know the right name it's easy to search the Insert Character Dialogue. Without the right name or code-point a Google search may be your best bet to find the code point. Dumbledore wrote: One thing I am confused about with the scripts is the bracketed comment 'Apply subsequent features'. If it's checked, the inserted characters will remain selected and subsequent script features will be applied to them. The bar in x-bar is just a macron, isn't it? Dumbledore wrote: Thank you both. Then maybe you added low profile diacritics, but they are empty? If you open the glyph edit window for one of these Small Caps with missing accents, then double-click the glyph it will open the Composite glyph properties dialogue. Click on Next to find the code point for the missing accent.